Another lip product, another review! 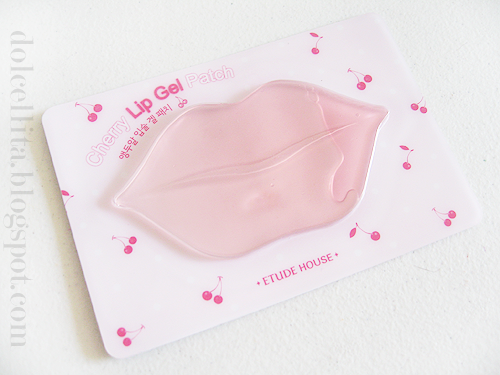 This time, Etude House's Cherry Lip Gel Patch which I'll admit, I fell for just because it looked so cute and I learned was one of the newer items from EH. Also, remember my previous entry about me having dry lips? You can see why I bought this one right away. The product claims to be "Formulated with vitalizing cherry extract, this lip-shaped hydro gel patch hydrates, repairs, and soothes for soft, supple, and smooth lips." Isn't the illustration on the back adorable? 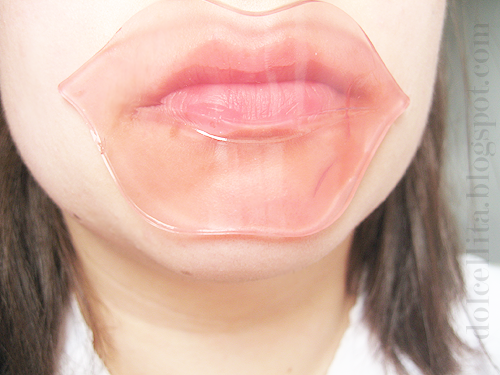 It also demonstrates how to use the patch already, but nonetheless, how does one use this "lip patch" exactly? As an alternative to lip scrubs, and according to the directions, "Place onto clean lips and leave on for 10~15 minutes. Massage remaining product into your lips." Now I bet you're wondering how it looks in real life, well let's see! Does it look like I had horrible lip surgery done? Haha, I guess not, but it definitely looks a little silly. I get that they made it big to accomodate all lip shapes and sizes, but I think they went a bit too far and could have just made it a little oversized and not something that also covers up my chin...then again, maybe they wanted to make sure the skin around your lips becomes moisturized too since those areas can get dry for some people? That's what I think anyway. This one is so cute even if it looks silly. I'm vain with my lips, so I might just get this just for kicks. :D Thanks so much for sharing! This looks like an ok product. I wonder why they make it so big instead of something smaller that may actually fit well onto the lips. Thanks, Christine! It looks fun so I'll definitely be doing it! 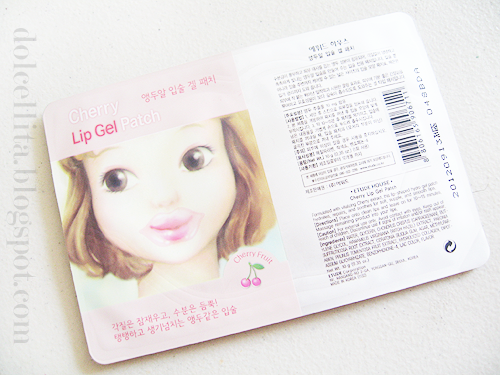 This lip patch looks so funny haha xD Reminds me that I need a lip scrub.. >_< I get horrid dry lips too. Isn't it? Haha! I still have my lip scrubs and I use them a few times a week. The patch is definitely something you just treat yourself to every now and then because it's not exactly a practical product, as cute as it is! No, for hygiene's sake, it can only be used once.